I have a super cute and fun knitting pattern to share with you today. Sometimes when a designer is working on a book there ends up being an extra project that doesn't make it in to the book. And this cute doll hair with a bow project was an extra pattern that didn't fit in Fun and Fantastical Hats to Knit: Animals, Monsters & Other Favorites for Kids and Grownups. the free pattern and knit one up! If you missed our post that featured the cute knit elf ears pattern from the book pop on over to check it out. Knit a hat for someone, and you'll keep their head warm. Give the hat googly eyes, floppy ears, or a prehensile tail, and you will give them and everyone they meet something to giggle about. Do you know someone who could use a beyond-cute hat that resembles their favorite animal or character? Fun and Fantastical Hats to Knit adds a little fun to cold-weather wear. It doesn't have to be cold out for you to sport some fuzzy cuteness! You can have these amazing and easy-to-knit styles year-round! The twenty-one knit hats in this book are designed in sizes to fit everyone from babies to adults and are knit in-the-round with lots of amazing details! Feeling a bit bonkers? Time to knit up a Tea Party topper or sport your new Rabble of Butterflies hat. Geek out with Architeuthis, Gargoyle, or Mercury hats; express your culinary inclinations with California Roll or Cherry Pie bring out your wild side with a Blue Crab cap, Frilly the frilled lizard, Baldy the eagle, or a Hedgehog helmet! Find all of these and more inside Fun and Fantastical Hats to Knit. Mary Scott Huff lives in Fairview, Oregon, and teaches knitting all over the United States. Mary designs knitwear, writes books, blogs, and generally pursues a yarn-centered existence, in a little red house shared with her husband, two children, and two Scottish Terriers. This is her third book. Mary Scott Huff hits the big time! Have you ever dreamed of seeing your name on the big marquee in lights? Well, Mary Scott Huff, author of Fun and Fantastical Hats to Knit: Animals, Monsters & Other Favorites for Kids and Grownups, now can check it off her bucket list. This photo was taken at the Palouse Fiber Arts Festival in Moscow, ID. The talk she was a part of was entitled “Everything I Need to Know, I Learned From Knitting” and was held in the Kenworthy theater to a packed house of knitters. 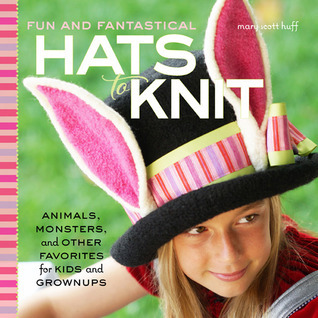 Mary Scott Huff is the author of the super cute new book Fun and Fantastical Hats to Knit: Animals, Monsters & Other Favorites for Kids and Grownups. Tip: Yarn with a long “nap” (fuzzy strands) often looks better when purled, rather than knitted, because more strands are on the back side of each stitch than the front. I am going to knit these elf ears from the book Fun and Fantastical Hats to Knit: Animals, Monsters & Other Favorites for Kids and Grownups and pop them on a headband! If these look like something you or someone you know would love (maybe for Christmas? ), scroll down for the knit elf ear pattern. You can also get yourself in the running for a copy of Fun and Fantastical Hats to Knit at Goodreads. I bet this technique for dyeing by osmosis from the new book Yarn Works: How to Spin, Dye, and Knit Your Own Yarn would be so cool to try, not only with yarn, but fabric and even maybe paper? Click on this page from Yarn Works: How to Spin, Dye, and Knit Your Own Yarn to enlarge and read the tutorial on how to dye by osmosis. Yarn Works is the ultimate sheep to sweater reference book for fiber enthusiasts everywhere. Have you ever wondered what the best spin method is for a chunky yarn? Or how to dye fiber to the color you want? Or perhaps your yarn isn’t holding its shape when you knit… This how-to book answers all of those questions and more in a detailed, behind-the-science manner. The better you understand the science behind the subject, the better you’ll be at applying your creative inspiration to spinning, dyeing, and knitting your own yarn. This book is divided into four main sections—Fiber Workshop, Spin Workshop, Dye Workshop, and Knit Workshop—and includes a brief history on each subject. Each short, informational workshop takes you through the essential learning activities for spinning, dyeing, and knitting, giving you the hands-on experience you’ll need to master the subject. Follow yarn from its fiber beginnings, through the process of spinning, to dyeing the spun yarn with natural and synthetic dyes, and finally finish off by using your new yarn in fun projects. Whether you’re a knitter interested in learning to spin and dye your own yarn; or a current spinner or dyer looking for inspiration, you’ll find everything you need to know about the subject of yarn in this book, along with some great exercises to get your creative juices flowing. W.J. Johnson (aka Wendy J. Johnson) has been spinning, dyeing, and knitting for more than thirty years. She has a BA in Fine Arts and Music with additional arts education in Fiber Arts, Graphic Design, and Architecture. She is a fiber artist, photographer, media and installation artist, and educator in the fiber arts, with an emphasis on spinning, dyeing, weaving, and knitting. 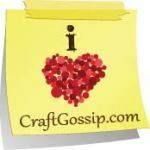 Her fiber arts, photography, and fine art work is highlighted in her company Saga Hill Designs, www.SagaHill.com. She has been a champion for Swedish textile arts and has facilitated exhibits on Swedish knitting artists (Elsebeth Lavold, Inger Fredholm, and Bohus Stickning—all at the American Swedish Institute in Minneapolis, Minn.). Wendy was a principal author, photographer, and designer of the book Bohus Stickning—Radiant Knits: An Enchanting Obsession. She is also the President and Art Director of Points Of View Productions, a multimedia company; and founder of Elder Eye Design, where she is “The Legibility Doctor”, advising clients on legibility issues in print, space design, and products for the aging eye. On the side, Wendy visits fleece on the hoof as she and her border collies attempt to “come by” sheep every so often in a dance called “herding.” Wendy lives in an area west of Minneapolis with her husband and two crazy border collies in a home she designed using aging-friendly principles.